As part of a series of tutorials on how to learn Cinder and it’s 2d drawing library, Cairo, an image processing application was developed. 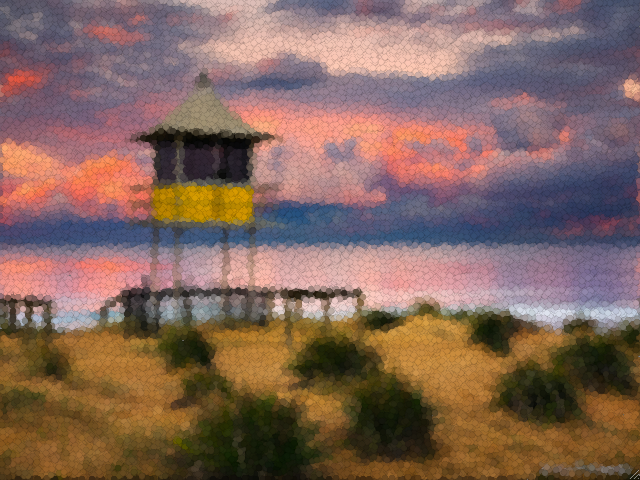 Starting with a hyper-real sunset photo by Yury Prokopenko, an algorithm was devised to scan an original image, process it’s pixels, and replace the image with a stylized illustration made up of colored discs. 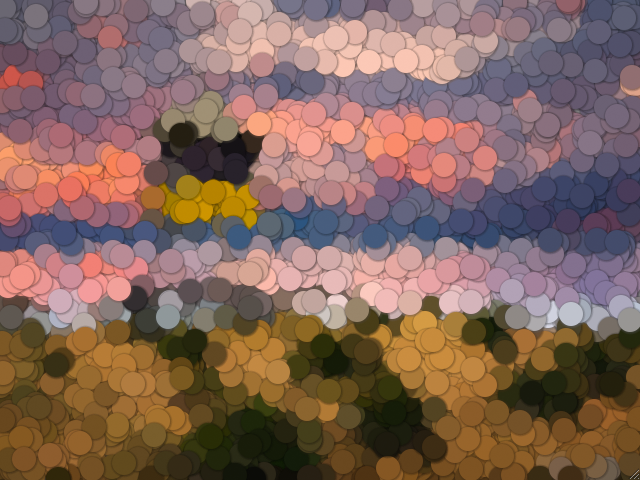 One variable in the application is the cell size of the pixel sample area and overlaid discs. Below are two processed final outputted images, one with a cell size of 24 and a second with a cell size of 6.